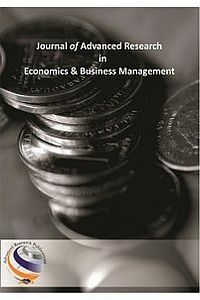 Journal of Advanced Research in Economics & Business Management is a Journal from bouquet of Advanced Research Publications. JoAREBM is a Peer Review Journal and the published content is based on the original contributions in all fields of Economics and Business Management. The Journal is published online quarterly and in print biannually. In addition to the regular issues, the Journal publishes selected proceedings and Special Issues for National and International Conferences but only as per the Focus and Scope of the selected Journals.